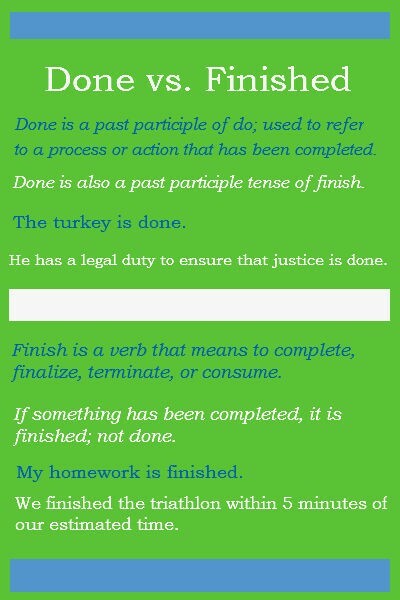 The difference between done vs finished is where, for example, you did part of your homework just for a grade. 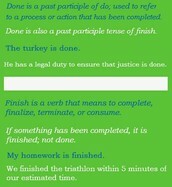 Whereas finished you did all of your homework. When you're cutting the grass and you say you're "done" and that you'll "finish" tomorrow. 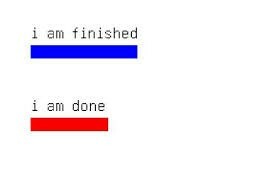 When you're doing your homework and you say you're "done" and that you'll "finish" tomorrow.